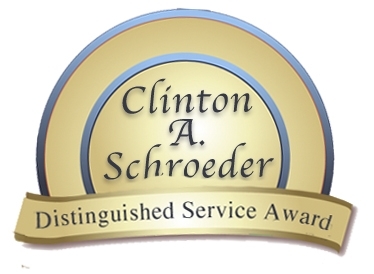 Established in 2008, the Clinton A. Schroeder Distinguished Service Award recognizes the contributions of Clinton A. Schroeder to the charitable and planned giving community in Minnesota and across the nation. Nomination letter from a member in good standing of the Minnesota Planned Giving Council. Two letters of recommendation: one from a present or past supervisor or professional colleague who can attest to the Nominee’s leadership capabilities and service to the field; and one from a personal friend or colleague familiar with the Nominee’s extraordinary service to non-profit community organizations or charitable activities. List honors/awards/certifications or extracirricular accomplishments in the field of planned giving. Please describe any efforts or accomplishments that demonstrate a commitment to planned giving in the community. Please upload nomination letter and letters of recommendation below or email to paulh@mnpgc.org before September 14, 2018. I declare that the information provided above is both accurate and truthful.